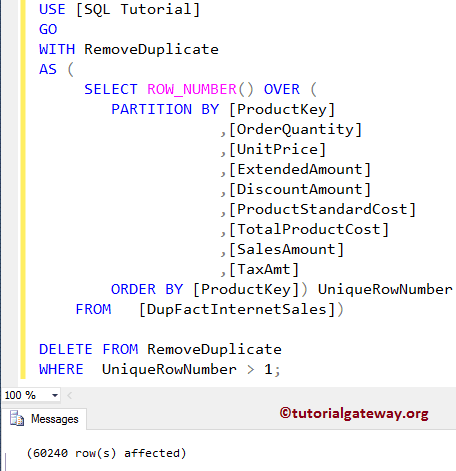 In this article we will show you, How to write a SQL Query to Delete Duplicate Rows in SQL Server with example. 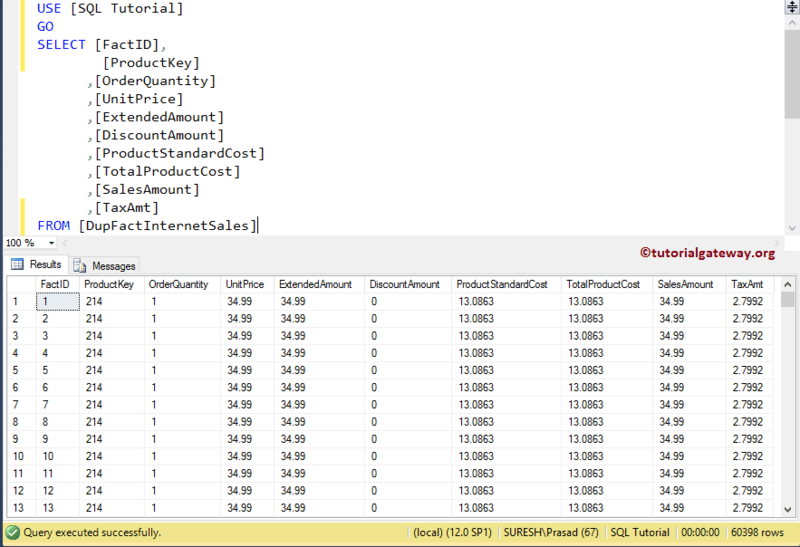 This is one of the common SQL Interview Question that you might face in the interviews. 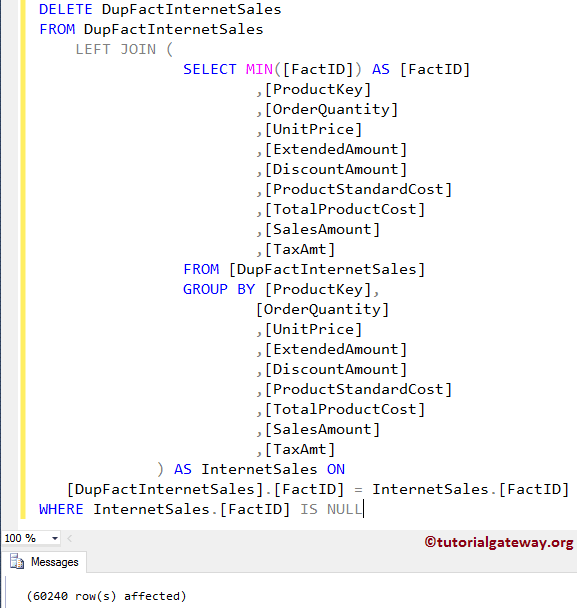 Below screenshot will show you the data that we inserted into the DupFactInternetSales table present in the SQL Tutorial database. 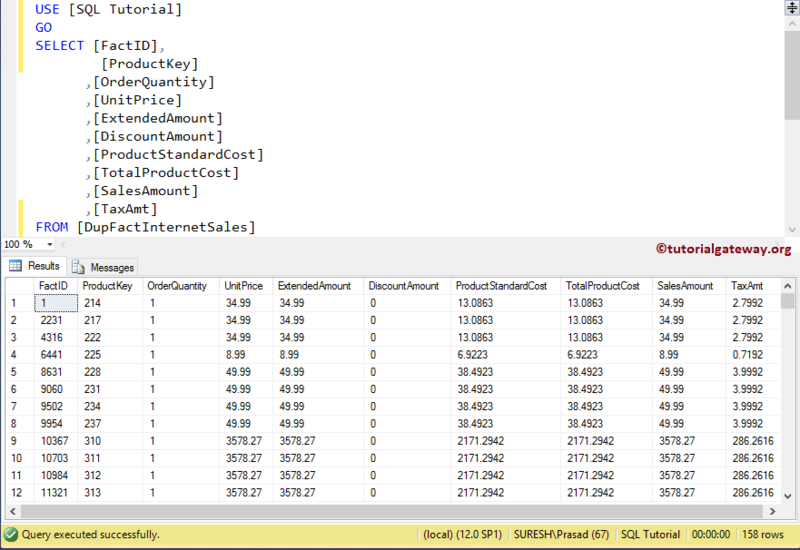 In this example we will show you, How to delete Duplicate rows in SQL Server using the ROW_NUMBER function, and the Common Table Expression. Within the CTE, we are using the Rank function called ROW_NUMBER. This will assign unique rank number from 1 to n. Next, we are deleting all the records, whose rank number is greater than 1. 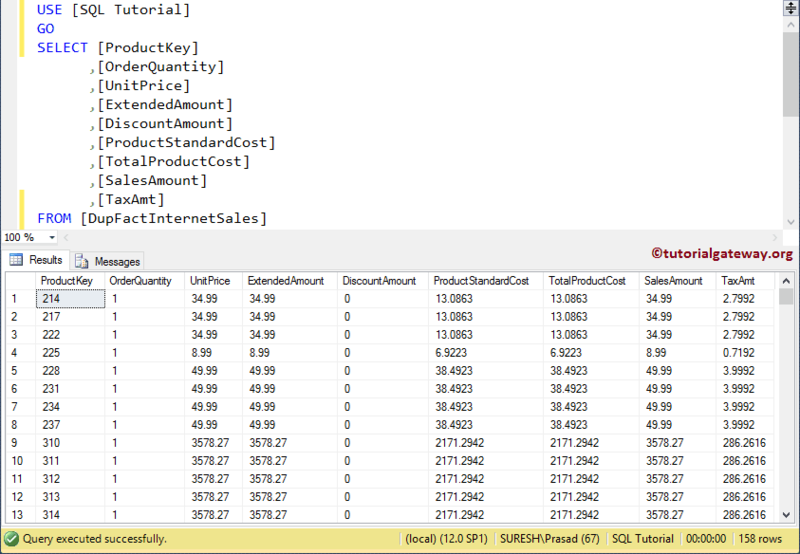 In this example we will show you, How to remove Duplicate rows in SQL Server using the SELF JOIN. 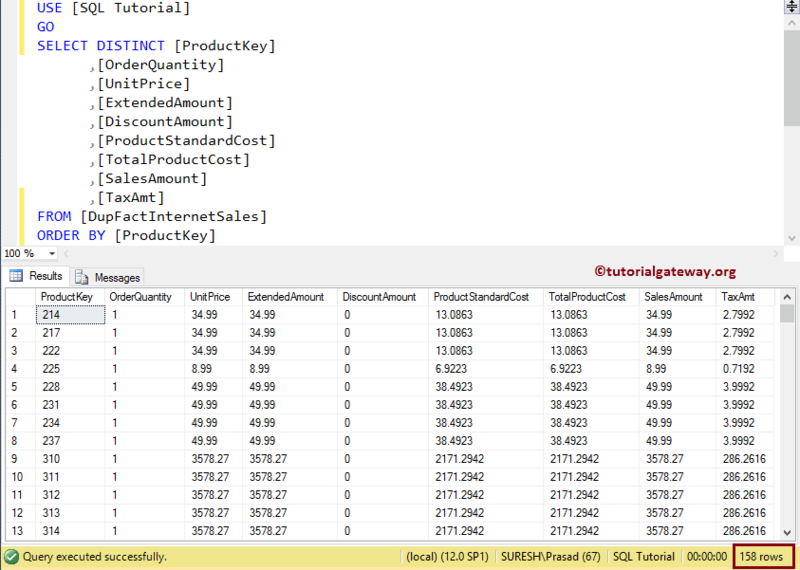 In this example we will show you, How to delete Duplicate rows in SQL Server using the LEFT JOIN, MIN Function, GROUP BY, and HAVING.